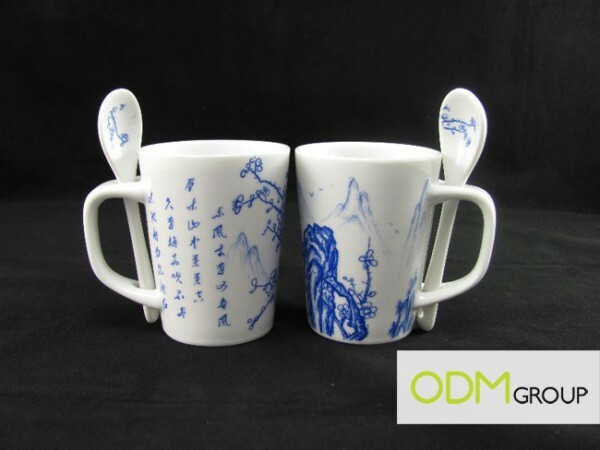 Introducing a promotional gift idea, which is a two-in-one set of mug and spoon. It is unique, quirky and practical. 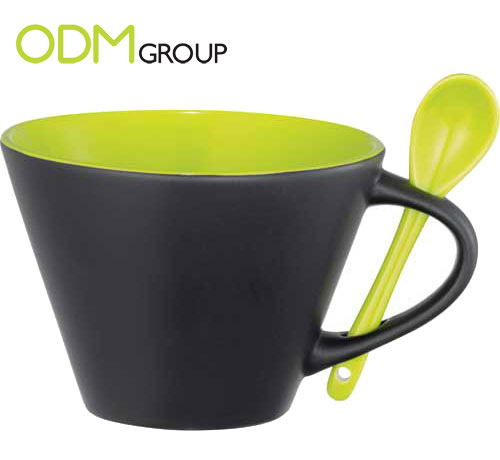 The mug holds up to 300ml of water, and is completed with a matching spoon that fits perfectly into the handle. 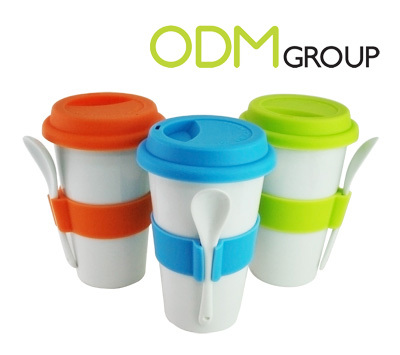 Design your very own promotional gift! The most important aspect of a promotional gift is the freedom for customisation. 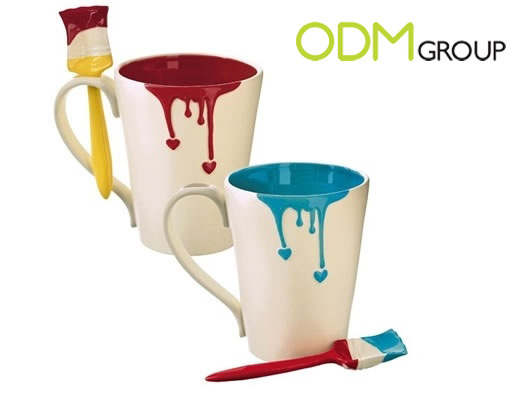 Here are a few steps to have your ceramic mug and spoon customised! Step 1: Choose the shape of your mug. These mugs come in different shapes and sizes. Take for example, we have the Rancho Mug. Depending on the nature of your business, you can design a mug that accentuates the brand. Step 2: Choose the colour of your mug. With a wide variety of vibrant colours such as lime, orange, yellow, red, blue and pink, there are also options for a classy impression. Take for example, black and white. Step 3: Choose the design of your mug. A good question to ask is – Who is this promotional mug targeted to? Is it teenagers, working adults or elderly? 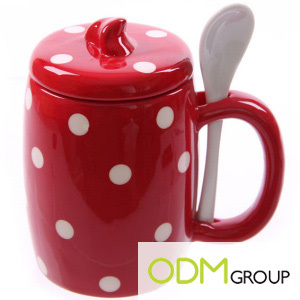 You can also customise the mug with a design that can attract your target audience. A good example would be a traditional Chinese design for the Chinese elderly. Step 4: Incorporate your Company Logo! If you’d like your company’s logo or slogan on the mug, it is absolutely possible! Showcase whatever relevant information you may need, whether for promotional efforts or just as a simple door gift! A company logo that is highly important as it not only boosts brand awareness, but also increases brand recall and improves brand perception. Ceramic knives are an excellent Promotional Gift. They are a relatively high perceived value and still give clients something that is considered innovative. Check out this marketing gift set. You can also make mascots or promo figurines in ceramic materials. These can be very precise an ornate. You might also like to consider different materials like glass due to EU anti dumping measures. There are definitely alternatives for this product. Take for example the tumbler, or the ceramic set with a cover. And of course ODM’s favorite is the painting themed set.